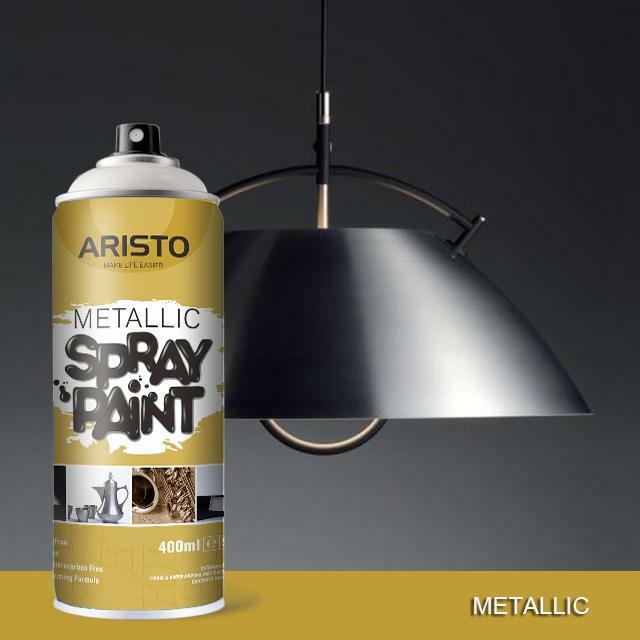 ARISTO metallic spray paint provides a durable metallic finish to almost any surface including wood, metal, craft, glass, ceramic, pottery, masonry and more. It has excellent durability for indoor and outdoor use. 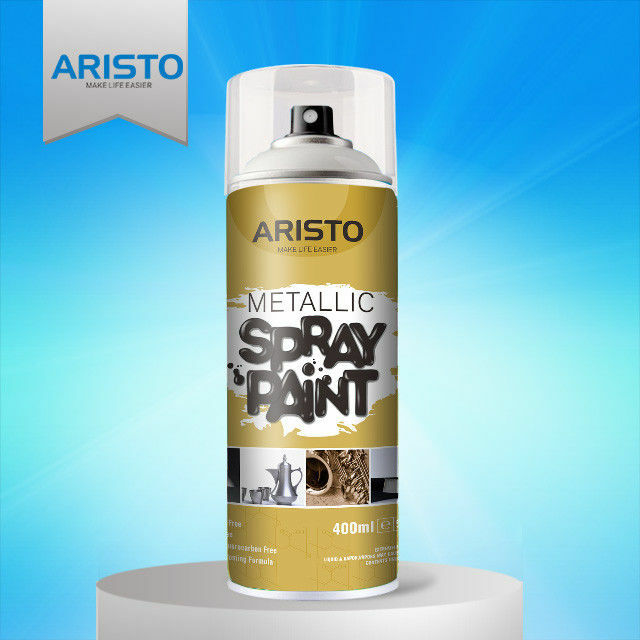 Quick covering spray dries faxt to s smooth metallic plating finish.